Andy is a member of the Skokomish Tribe. 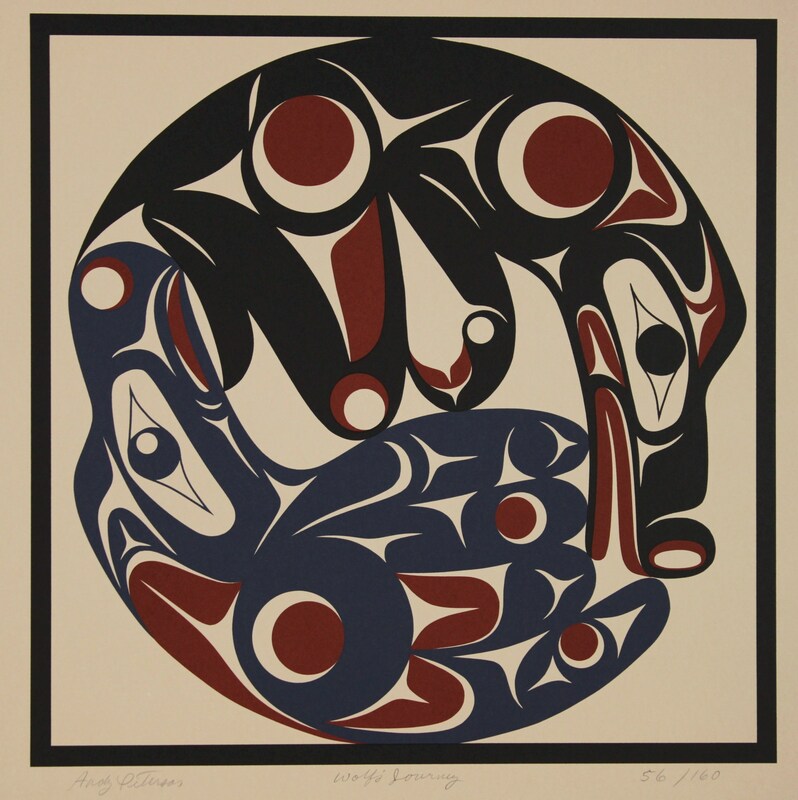 He began carving after being inspired by a tour of a museum exhibiting Northwest Coast art; and began exploring various art forms. By the age of 18, he had taught himself how to both, carve and paint. Later, Andy and his Uncle Peter Peterson made a joint effort to revive the traditional steam-bent box at Skokomish. Andy’s early designs were predominantly in northern style, because it was most accessible. Later, sources at the University of Washington and British Columbia yielded examples which he used as a basis for developing a traditional and exciting Coast Salish style. 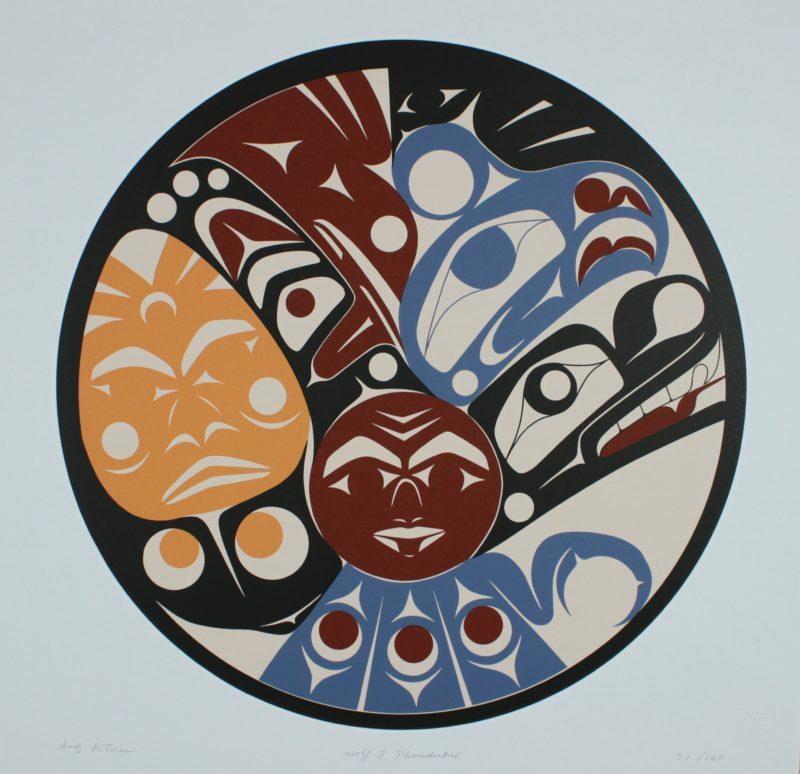 He also studied Salish art pieces made by his great-grandfather (Henry Allen). In 1987 he worked with Makah Artist, Greg Colfax on a 12’ female welcoming figure for The Evergreen State College, and in 1994-95, Andy worked with Steve Brown on a pole for Richmond Beach Park. While working on the pole, Steve introduced Andy to many types of carving tools. He also taught him the art of tool making and silver carving. He now makes his own tools, which has broadened and enhanced his carving career. 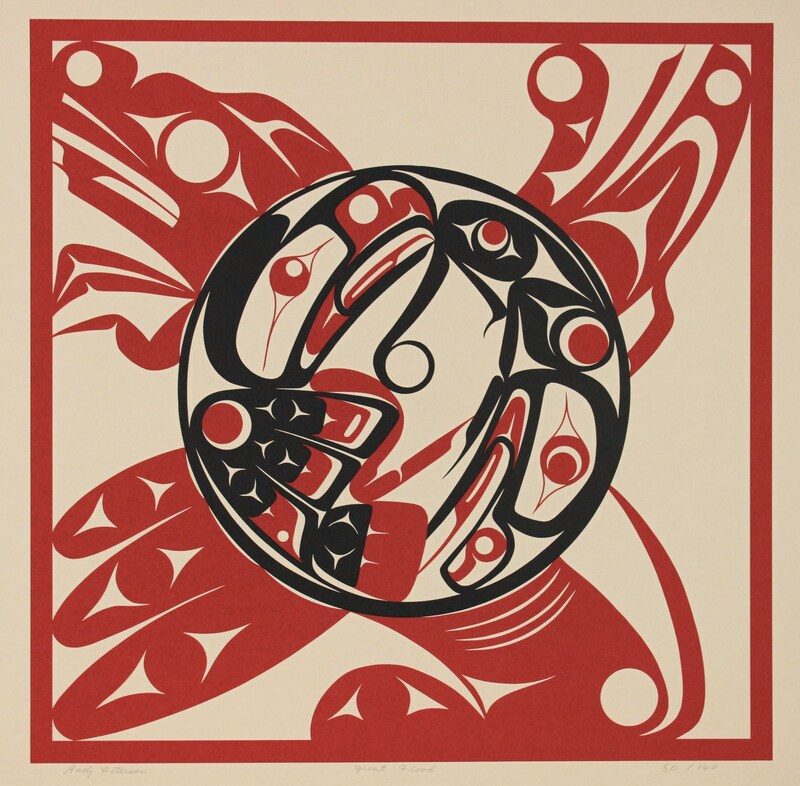 Andy continues to research and contribute to the revival of the Salish art. 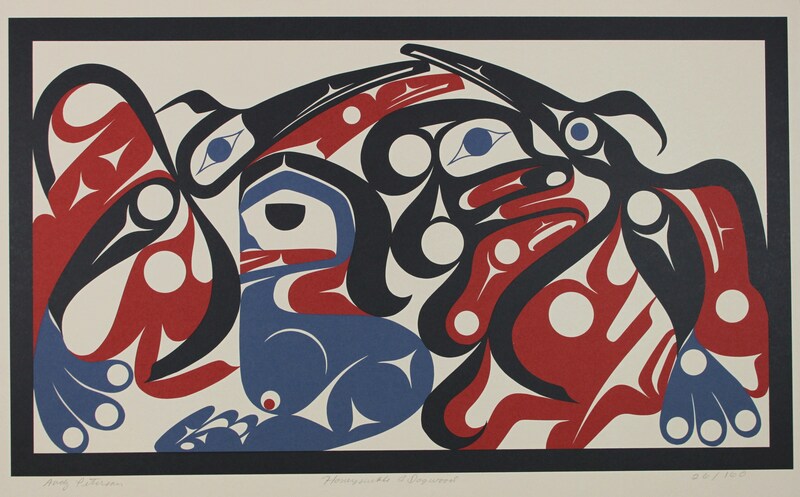 He has taught many people and is currently working with his youngest daughter (Bunni) in all of the art forms, and looks forward to working with his grandchildren and keeping the Salish Art forms alive.